We are one of the prominent industrial Oil Storage Tank exporters. We offer oil storage tank which is renowned for its durability. In addition to this, we also offer fuel oil storage tank which has high level of strength. 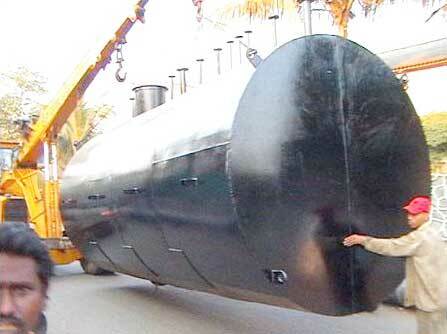 We offer fuel oil storage tank at the most acceptable price. MTF make horizontal bulk oil storage tank with MS plate conforms to IS - 2062 and the tank is designed as per IS - 803 and welded joints are tested for leak proof joint by water pressure at our works.